To participate in this swap you must have a rating of 4.99 with no recent 1s nor unexplained 3s, and have completed at least 50 swaps. 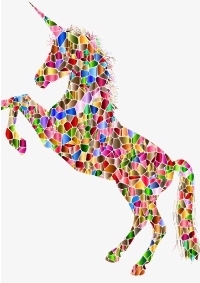 Please send your partner a unicorn-themed gift with a value of $5 before shipping. Include a note with your swap-bot name and the name of the swap.